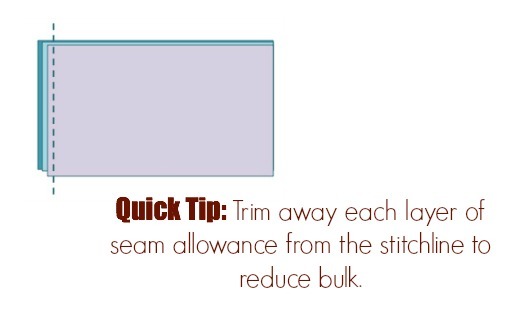 When stitching with thick layers or heavy fabrics our seams can become bulky. 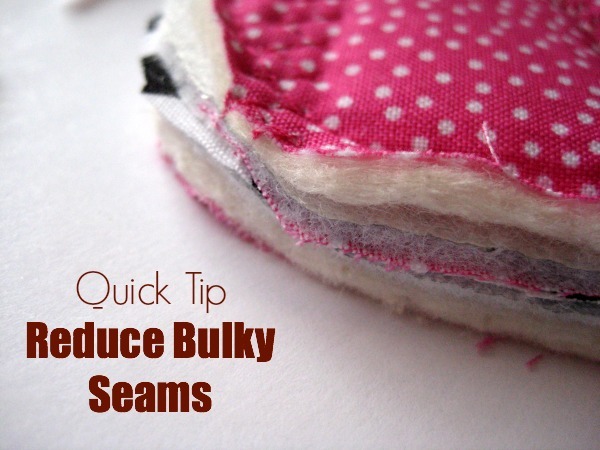 These bulky seams can prevent our curves from being smooth and pretty. 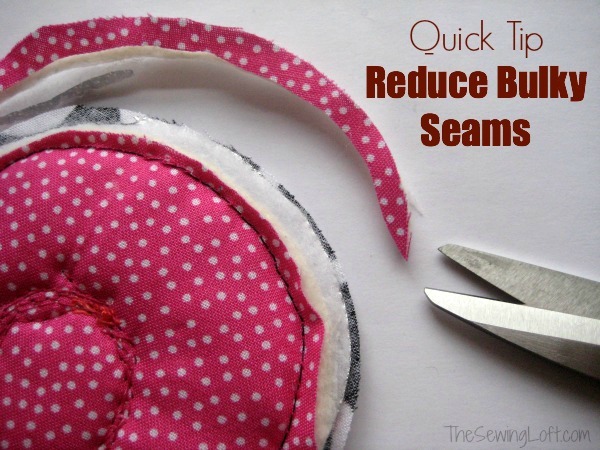 An easy way to reduce bulk is to trim away excess seam allowance from one side of the seam. Basically, you are layering the seam allowance width after you have stitched everything in place. As you can see in the photo my seam allowance has been trimmed in layers. 1/2″, 1/4″ & 1/8″. This layered reduction will reduce unsightly bulkiness. This is especially important around tight curves and sharp corners. Reducing bulk is extremely important when using thick fabrics, making sharp turns around corners (think collars and waistbands) and turning curves. So, let’s take the “bite” out of our bulky seams and keep our projects looking top notch!